De-paired. Got to love the jugs the way god intended them to be....NEKKID!!! Now you just got to de-badge it! So it looks PROPAH....like minez! 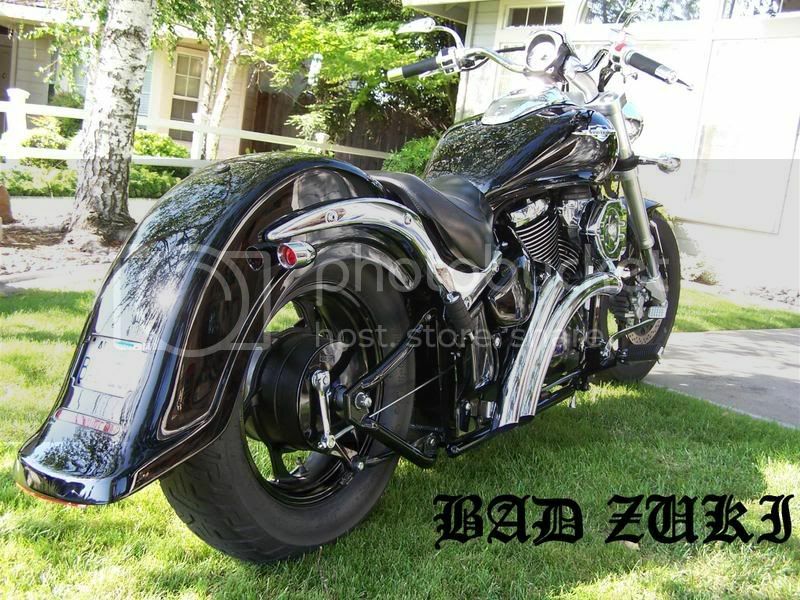 very nice bike.. and nice pic.... looks exactly like mine before 'accessorizing' began. What is on your list to do ? or are you immune to this disease? 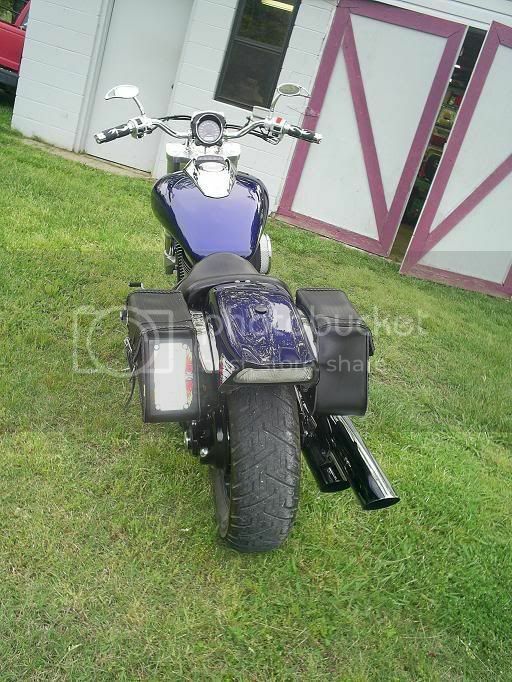 The sissybar is the suzuki OEM option that was available for the bike in 05. It's the OEM sissybar for the VS800 1988-2004 and the S50 2005-2008. Same bike..same sissybar. mfifyguy, that's an excellent hybrid of C and M. You gotta post more pics! A few small details you might not notice in the pics- the handlebars are abouy 6" shorter than stock, saddlebags are direct mount (brackets are internal to the bags, not external), seat has been modded with new foam/contour and risers are harley risers that offer another 1/2" of height and 1.5" of pullback as compared to stock. The combination of seat changes, riser changes, handlebar changes, modded airbox and forward controls makes for a fit that is custom to my size and body dimensions and feels great when riding. For those that have seen it before, you'll notice the stripes are gone. Last edited by diamond_jim; 05-10-2008 at 06:45 PM. Last edited by '08-M50 Rider; 05-11-2008 at 04:21 AM. Here's mine, 07 C50, with a Memphis Shades windshield and backrest. Since this picture was taken I have added VA lowers . Here is latest pic of mine, only couple of weeks old. I have a mapam backrest on order, hopefully here next week.